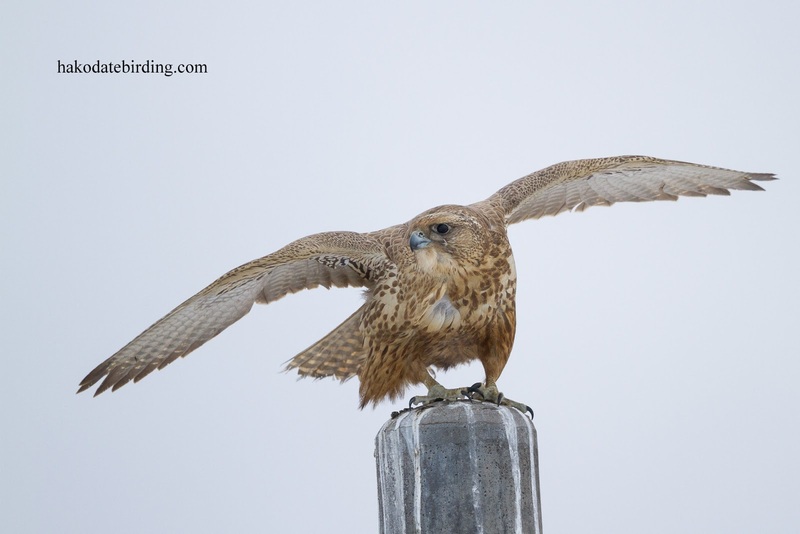 The overwintering Gyrfalcon from 2013/14 2 years ago today. A real shame it looks like the individual that appeared this year in the same place only stayed very briefly and AFAIK only one person was lucky enought to see it. Still, it may return, you never know. At least I saw this one 2 years ago.What a bird. Like you I have only ever seen one Gyrfalcon - one bird, one time.Sure leaves an impression doesn't it? Mine was a white morph adult too. Great encounter, Stu. Still nice to keep an eye out there. Anything is possible. 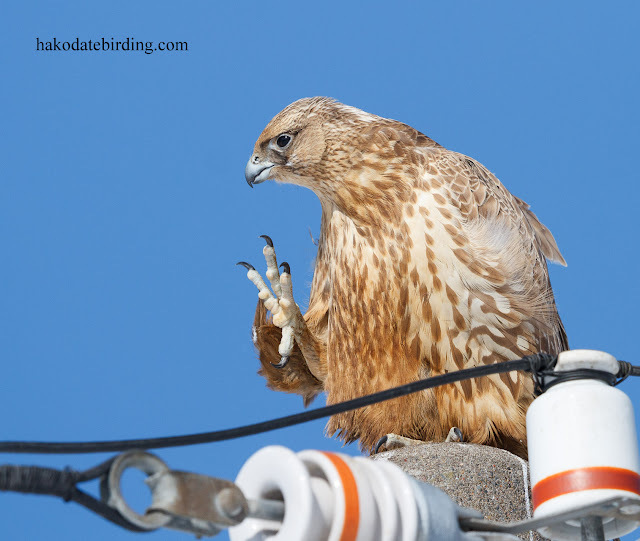 Probably several individuals visit Hokkaido every winter, this one 2 years ago was a long stayer (4 or 5 months) whereas last week's was less than an hour. 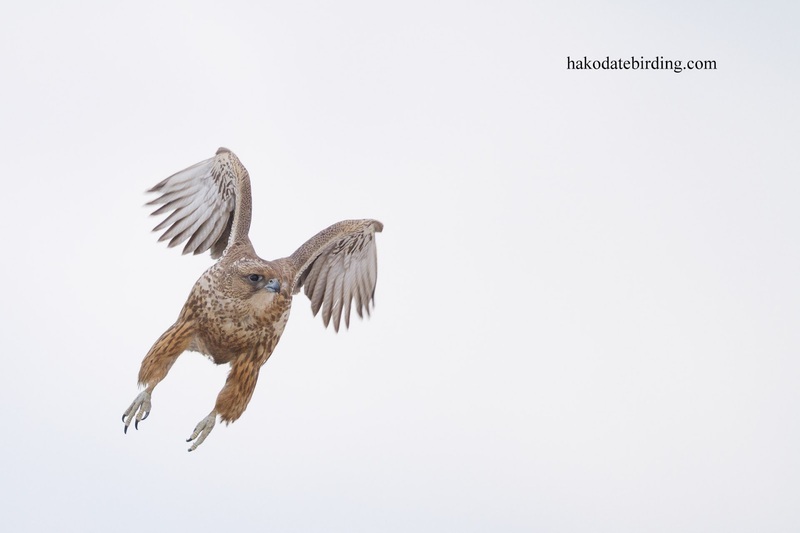 Any bleak cold flat grassland near the coast is potentially Gyr habitat..........amd a lot of Hokkaido fits that description in winter.